I really don't have a ton going on right now. I just wrapped up rather intensive revisions on II Crimsonstreak for Candlemark & Gleam. I still have a few things to shake out, but it's much stronger than it was before. That's the great thing about having an editor: they really help you stand outside your work and see how other people view it. 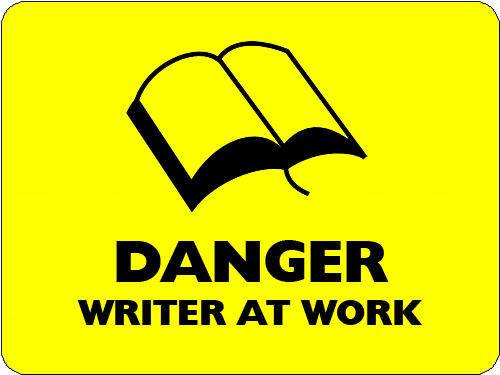 I know there are writers out there who don't think they need help like that...but I think a good editor is essential for a great book. There's no way II Crimsonstreak was ready to go in the form I submitted. Part of that was my eagerness to get it out there. I should've worked on it for another month before submitting. Then again, sometimes you get so close to your work that you stop being able to actually "see" it, so sending it off and getting feedback was probably for the best. I used a very light outline for II Crimsonstreak. Since that book needed so much reworking and lacked focus in many respects, I'm attempting a tighter plot for III Crimsonstreak. You see, the second book ends on a cliffhanger that I have to resolve. I was already about 70,000 words into III Crimsonstreak, but the revision on book two helped me see some real problems with the third book. I sat down and wrote a five page outline based on some of the stuff I'd already written for the book. I immediately deleted four chapters (about 10,000 words) and started revising what I'd written. What about the other approximately 60,000 words? Some of that will remain, some it will be modified, some of it will be merged with other parts of the book, and some of it will be scrapped altogether. Once I get III Crimsonstreak into better form, I have another novel that I'm about 50,000 words into. Before I continue with this book--a kind of Three Amigos/Galaxy Quest/Redshirts mash-up--I want to check my character beats and get a tighter focus on how I resolve the plot. My outline isn't very detailed. After rereading the book two weekends ago, I think it's a great concept and the writing is very strong in points. I want to change around some character traits (one character is very whiny at first and then isn't so whiny later in the book...and I like the latter version) and get some specific notes on plot points I want to resolve. I don't define myself as a plotter or a pantser, although reading the above probably makes you think I'm closer to the latter than the former. I outline my stories and write character bios/sketches, but as the book develops, things change. I see nothing wrong with "going with the flow," but it's clear to me that I struggle to resolve those changes with the existing progression of the book. I've written about 9,000 words on another project that's heavily inspired by Les Misérables with a little Revolutionary War and masked avenger flavor thrown in for good measure. If I can pull this one off--I have ten page outline for it--it would be somewhat more literary than any of my other books. I'll just have to see what happens.